John has worked in the professional services/advisory market for over thirty years, in Australia, Europe and Asia Pacific. 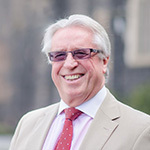 John’s experience covers the Mining, Energy and Natural Resources, Manufacturing, Professional Services, Tourism and Leisure sectors and he has worked with firms such as Touche Ross and KPMG. John’s Board experience includes appointments to Loreto Mandeville Hall, Loreto Education Board and Monash Heart Strategic Advisory Board. 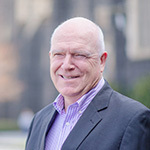 John is a Founding Partner of Sheldon Harris and is an experienced, senior executive mentor and coach. Ross is General Manager, Client Engagement at Catholic Church Insurance where he has overall responsibility for CCI’s client engagement strategy and leads the national CCI teams in meeting all day-to-day needs of the CCI clients. He has over 36 years’ experience in the international insurance industry, with a focus on managing the complex needs of major corporations and financial institutions. 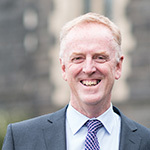 Ross has a Master of Business Administration from Melbourne Business School (Melbourne University) and is a Fellow of the Australian Institute of Company Directors. Terry’s public service career has spanned four decades with the Commonwealth and Victorian State Governments. He has held senior roles in central agencies, planning and development, natural resource management and social policy. His experience includes policy advice, executive and program management, organizational and administrative reform and whole of government coordination. Terry was awarded a Centenary Medal for his services to public administration. 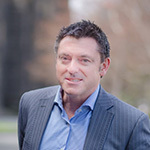 Terry is currently Chief Corporate Officer at Court Services Victoria. He is also a Board member with Domestic Violence Victoria. Sandra is the Pro Vice-Chancellor, Engagement at ACU. Her role provides leadership, advice and support for ACU's community engagement strategy, including strategic frameworks that implement the new measurement of research engagement and impact. Prior to her current appointment Sandra was the Director of ACU's Centre for Health and Social Research (CHaSR). 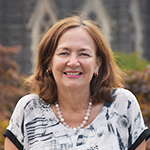 Sandra’s research career has focused on the development and delivery of community-based interventions, in partnership with health services and NGOs, to improve the uptake of health promoting and risk-reducing behaviours. James is the founding Director of The Agenda Group, a Melbourne-based public policy and communications consultancy. He has previously worked for a range of senior politicians in both Government and Opposition. James has a Master of Arts (Professional Communication) from Deakin University, as well as a Graduate Diploma in Public Relations. Fr Kevin has extensive involvement nationally and locally in the governance and management of the Church’s social welfare responses. For more than fifteen years he was a member of the Australian Catholic Social Justice Council, an advisory body to the Australian Catholic bishops. 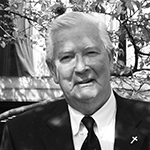 He founded the State Catholic community service peak Catholic Social Services Victoria. He has qualifications in social work and criminology. In 2004 he was appointed a Member in the Order of Australia. 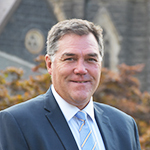 Dennis has more than 18 years’ experience across Catholic and government education sectors, working with Ministers and executive teams in areas of student wellbeing, engagement, inclusion, disabilities, student learning and communications. He also spent a decade in media as a daily print and television journalist and news producer. He is a member of the Australia and New Zealand School of Government Alumni and Catholic School Parents Victoria Council. 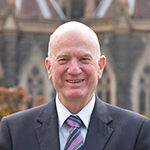 Dennis is responsible for strategic policy and advice on key wellbeing portfolios for both Catholic Education Melbourne and Catholic Education Victoria. He holds an Executive Master of Public Administration from Melbourne University. 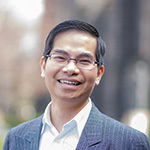 Fr Thang spent nearly five years in the Finance industry before he commenced formation for the priesthood at Corpus Christi College. In 2008, Fr Thang was ordained to the priesthood for the Archdiocese of Melbourne. After serving five years at Catholic Parish of Ivanhoe as parish priest, he is currently Director of Ministry to Priests. Fr Thang holds a Degree in Accounting from Monash University and a Graduate Diploma in Computer Science from Victoria University. Kieran retired from Victoria Police in July 2012 after 44 years of service across a broad range of policing activities and reaching the rank of Deputy Commissioner. He has broad experience in administration, governance, audit and risk and human resources. Kieran is very focused towards community service and is currently a board member of the Adult Parole Board. Beth McConnell has over 25 years' experience as a corporate, trust and superannuation solicitor and corporate governance adviser, having worked at leading corporate law firms, in-house with superannuation funds and in management consulting specialising in corporate governance. Beth provides governance, facilitation and training services through her own consultancy Beth McConnell Consulting. 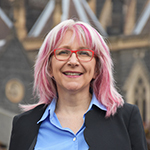 Beth also sits on the Superannuation Complaints Tribunal, the Board of Xavier College, Kew and is an Independent Consultant to the Audit, Risk and Compliance Committee of UniSuper. Beth has a Bachelor of Commerce and a Bachelor of Laws (Hons) from The University of Melbourne, a Master of Commercial Law from The University of Melbourne and a Diploma of Superannuation Management from Macquarie University. 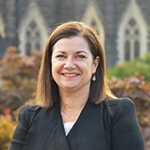 She is also a Graduate Member of the Australian Institute of Company Directors. Netty has spent most of her career working with and advocating for people who are disadvantaged across the community. Netty has an MA in Public Policy, is a Churchill Fellowship recipient, a Graduate of the Australian Institute of Company Directors, and has had vast community and not-for-profit experience. Her previous positions include: Territorial Social Programmes Director for the Salvation Army, Southern Territory General Manager of Community Services at St Vincent de Paul’s Aged Care & Community Services, and CEO of Council to Homeless Persons. Netty has served as Chair of the Ministerial Advisory Committee on Homelessness, and as a member of the Prime Minister’s Council on Homelessness. She is also currently a member of the Federal Aged Care Sector Committee. 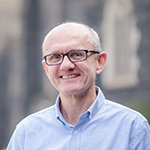 Nick commenced his career in the sector in 1994 in youth work and counselling. 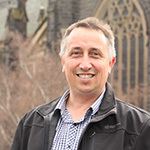 Prior to commencing with CatholicCare in December 2009 he worked in senior positions in a number of Community based organisations in both Geelong and Melbourne. This included roles in program and service development, leading and managing staff teams and developing innovative programs to support men as fathers. In July 2012, Nick assumed the role of Senior Manager in the North West and Barwon region. He was appointed Director, Operations in 2016. Nick has a Bachelor of Arts, Bachelor of Social Science (Family Studies) and Master of Arts (Counselling Psychology) and holds a Diploma in Impact Leadership. Nick is also a registered Psychologist. Peter has an extensive track record in strategic and operational HR roles, including generalist and specialist HR management roles with leading organisations including Mercedes-Benz Australia/Pacific. He has broad HR experience in strategy and policy, performance management, employee relations, learning and development, leadership development and culture change. Peter has led and mentored HR teams in the delivery of HR services to corporate, wholesale and retail environments. Peter has a Bachelor of Laws and Bachelor of Arts from Monash University, a Graduate Diploma of Industrial Relations from Victoria University and a Certificate IV in Training & Assessment. He is a Certified Professional of the Australian Human Resources Institute. 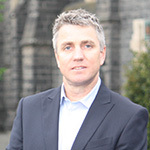 Prior to joining CatholicCare, Tony held several positions in the NGO sector and local government, most recently as Director Corporate Services, Diabetes Australia – Victoria. Tony has also worked in local government holding positions including Director Corporate Services – Shire of Bulla at Sunbury, Shire Secretary - Shire of Ballan, Deputy Shire Secretary – Shire of Hampden and Assistant Town Clerk – City of Colac. Tony has business qualifications from RMIT and post-graduate management qualifications from Melbourne Business School, The University of Melbourne. Tony has a keen interest in social justice and a commitment towards organisational quality improvement.